We are getting a first look at a twin tower proposal on the border of the West End and Coal Harbour, with a post-modernism design that’s unique to Vancouver. 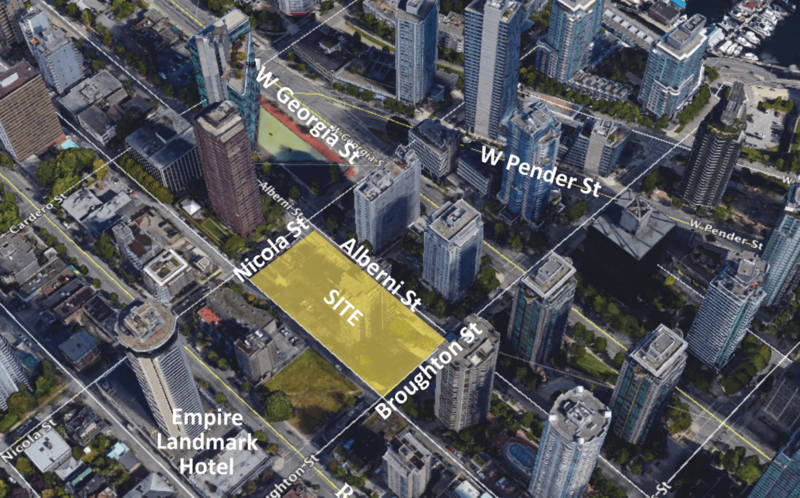 Landa Global and Asia Standard Americas are proposing to rezone 1444 Alberni Street and 740 Nicola Street to allow for two residential towers (43 and 48-storeys). 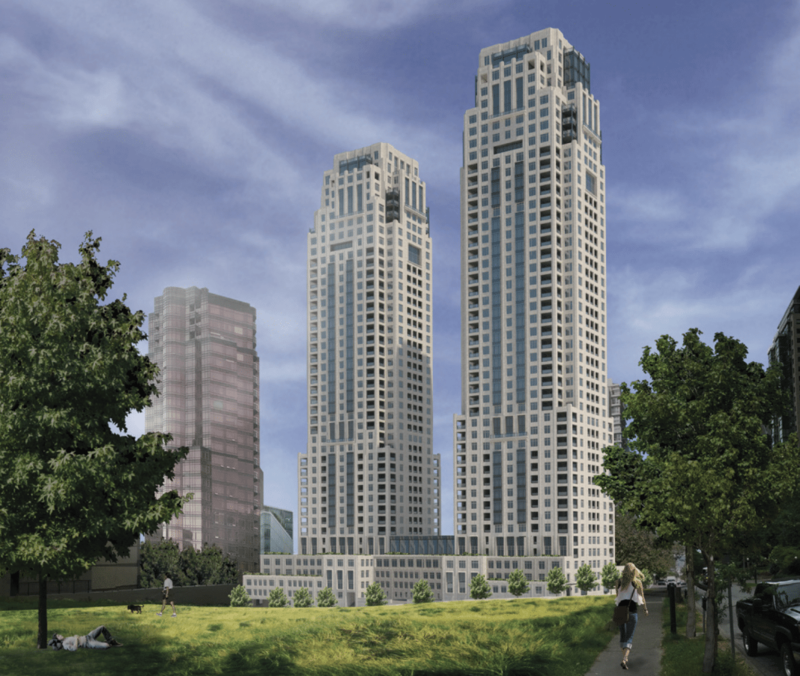 The towers will have approximately 358 condominium units, as well as 133 market rental apartments. The rental apartments will replace existing stock, as there is currently a 1970s-era apartment tower on the site, as well as an office building. The post-modern design of this proposal by New York-based architect Robert A.M. Stern Architects (RAMSA) is quite a departure from a previous proposal floated for the site by Perkins+Will. 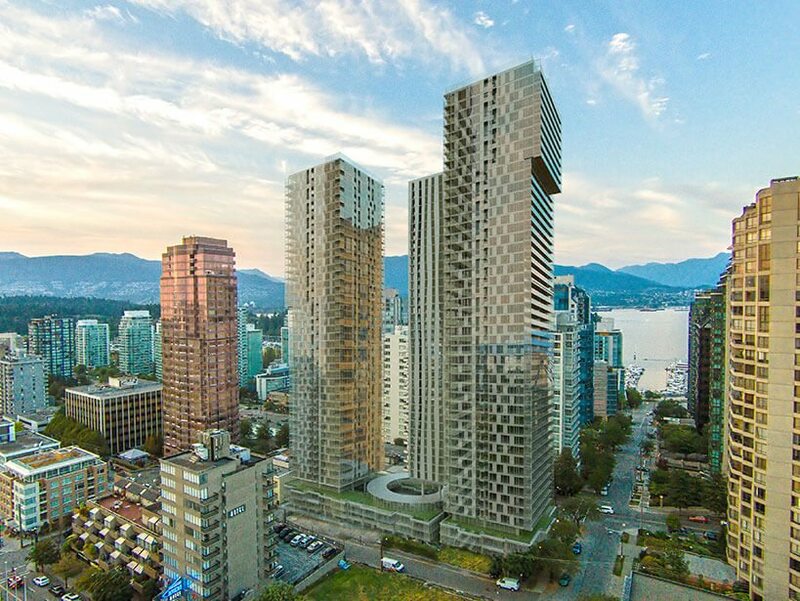 Rendering of previous condo tower proposal for 1400 Alberni Street in Coal Harbour. 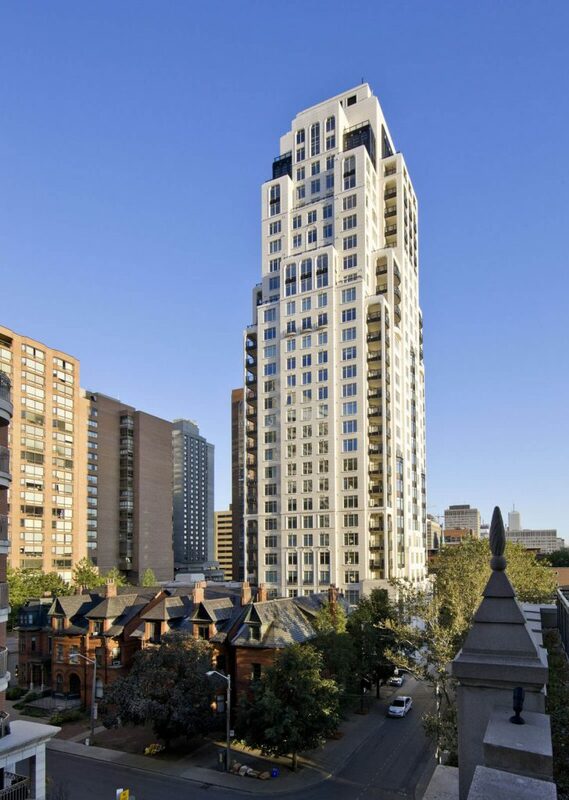 Robert A.M. Stern Architects designed the One St. Thomas Residence in Toronto, which may give an idea of what’s coming to 1444 Alberni. It is also quite different from several other new buildings under construction or proposed in the area, including Cardero, Alberni by Kuma and the Ole Scheeren “Jenga Tower” proposal on West Georgia. The site was first acquired by Wall Financial for $83.5 million in 2014, but was resold in 2016 to Hong Kong-based Asia Standard and Vancouver-based Landa Global for $160 million. A pre-application open house is scheduled for Wednesday, June 7, 2017 from 5 p.m. – 7:30 p.m. at the Empire Landmark Hotel, another building that is proposed to be demolished for a new development.